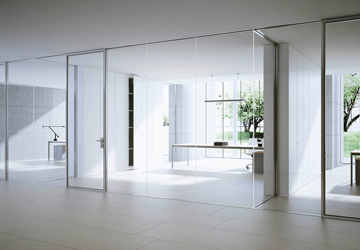 EVOFUSION is a highly customizable, double glazed partition system made of toughened glass panels. 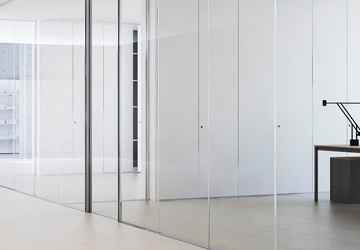 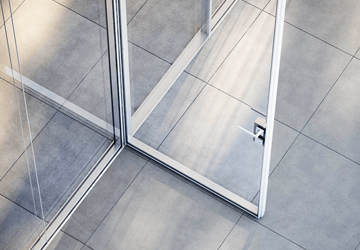 With unmatched room partitioning capabilities, this system can be easily converted into single glazed partition with side or centrally mounted glass. 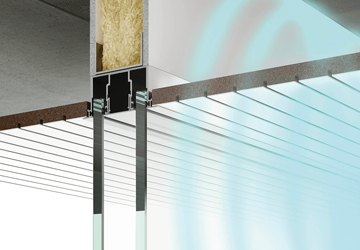 The system comes with an anodized extruded aluminum structural section embedded into the floor and ceiling. 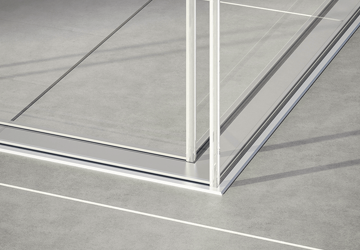 It is provided with either 10 mm thick glass OR 5 + 5 mm thick laminated glass with 1.52 mm soundproofing PVB interlayer film. 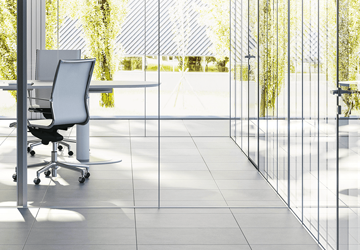 It can be accessorized and structured to include cable runs. 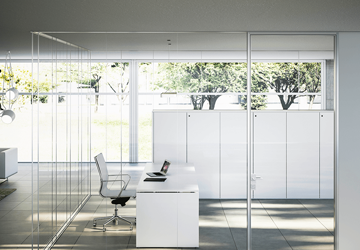 This partition system offers sound insulation up to 40 db.